Hammond's premiere bicycle race and much more! 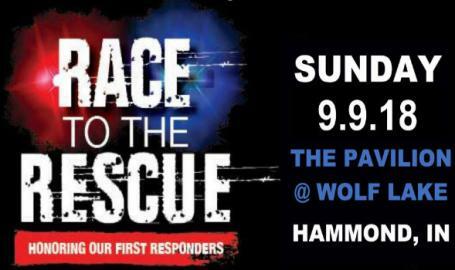 Join the City of Hammond and Hammond Port Authority as we honor our first responders at the Third Annual Race to the Rescue on September 9, 2018. Participants can choose from a 9K run, 5K run/walk, cycling road race, and kids races. All proceeds benefit local police and fire charities. Spend the morning at The Pavilion at Wolf Lake in support of those who protect us.